I have an early 2400 Valve cover. It is from HLS30 00029. Best offer. I will see if I can post a pic tomorrow. I do believe that they are bringing a bit more than $75.00 but we will see. You know us Z guys are cheap! Well I'd be cheap even if I wasn't a Z guy. Hard to offer without a pic. I've thrown these away in the past along with an E31 head. No comment. I know what you mean. I have thrown out more parts than I have kept over the years. I will get some pixs out soon. I took a look and found that I have two of these. I will post pictures later. I ordered walnut shells for my blast cabinet and will post once I clean them up. 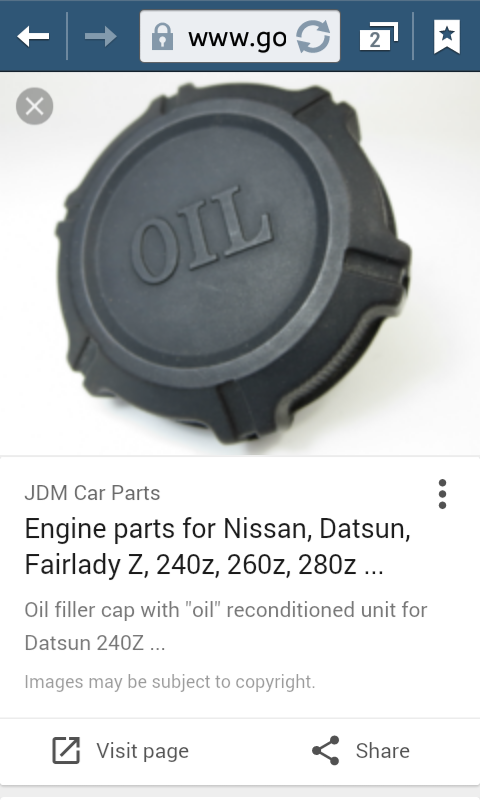 One has the simple "OIL" cap and the other the "Elephant" cap. They are both in excellent undamaged condition. I have a total of 6 valve covers with two being the OHC 2400 early production. I will be selling or trading off most of 40 year collection of part to fund the current project on my 72. If I remember correctly the thread a month ago about the 2400 covers were $400 to $500. That's crazy!!! Not disagreeing with you just find it amazing. Kinda like a series 1 choke cable for $250. I know it comes down to supply and demand but wow. BTW, what happened to HLS30 00029? 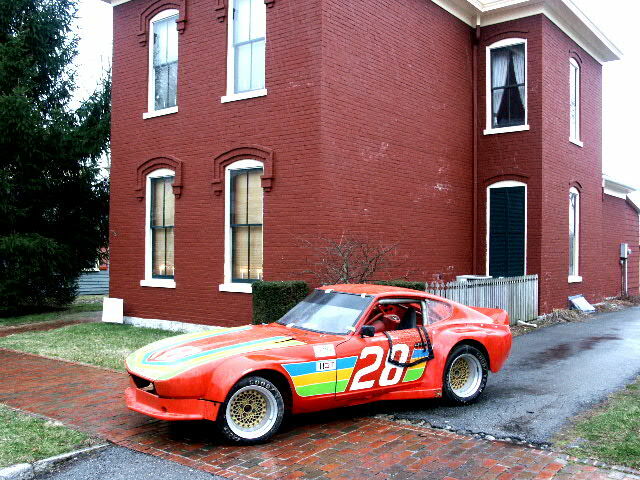 Les Canaday (Classic Datsun Motorspors) now owns it. It has been a race car most of it's life. I owned it for 31 years. I must apologize, it was $300 to $400. There was one for $300 from someone at MSA and the others were around $350. According to Carl Beck, there was only about 10,000 that appeared before the automatic transmission cars came with the newer lettering. The oil caps were another amazingly hard to find part. Mine has the elephant but before that they just had "OIL"
There's a few in Canada too... I have a friend with 2 or 3 of them plus a stack of E31 heads... he races a 240 and has a BRE motor on a stand too. Automotive gold! Mine has the elephant but before that they just had "OIL"
Yours is like this? When you say only had Oil on was that it? Nothing else? Geese if so I tossed one of those too. I thought it was after market. Well only $38-50 not to bad. An elephant never forgets to put his elephant oil cap back on. Simple logic. Dare I say he would also keep a spare in the _ _ _ _ _ ?? I, on the other hand can't even remember where I put my cap stash. Surely I have a few pachyderm themed ones in the pile somewhere if someone decides they need one bad enough, let me know. Willing to trade for a NISSAN cover? Darn, when did you sell that? any other race parts left? Gav, were you referring to an oil cap trade for a valve cover? Let me know, I have OIL and Elephant caps. Those elephant oil caps are not that desirable over here, they are quite common. The OIL cap is rarer, but I've already got 1. 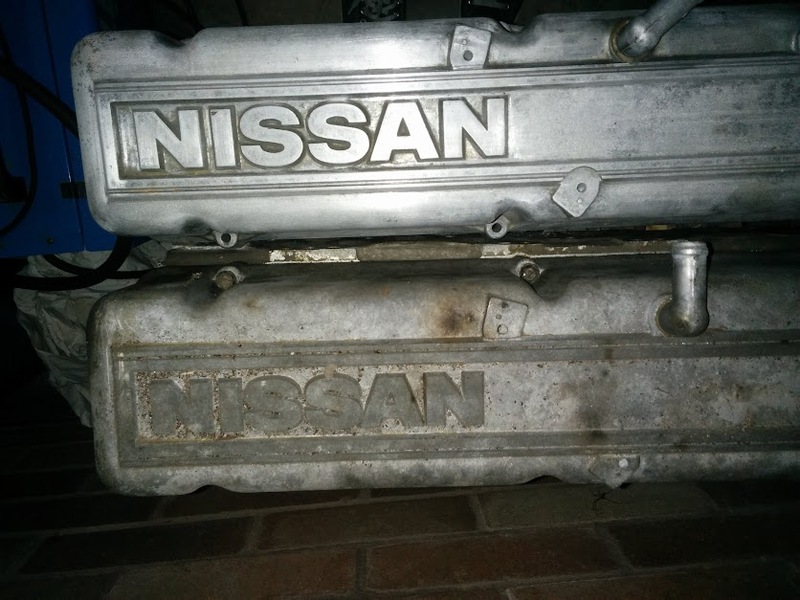 No I'm afraid I was looking to trade a 2400 cover for a NISSAN cover, my 70 240z (HS30 00150) was probably made around September 1970, which means I was a month or 2 too late to receive the 2400 OHC cover. But since the car has the hand throttle, rear vents in hatch, and all the other early car features (71A gear bag), E31 head etc.. I feel that the 2400 OHC cover is at home in the engine bay. I am in 2 minds about giving up the "larger" NISSAN cover simply because they are quite expensive themselves. Happy to part with the smaller version though! You guys are killing me with all the stuff I've gotten rid of! Had one of these too.